This is sad to say the last week of operation for J Fishwick & Sons of Leyland, Lancashire so I thought it would only fitting for one of their vehicles to be posted this Sunday the 1st November 2015. So here we have 521 CTF a Leyland Olympian LW1 from 1957. She has a Weymann B44F body. Am I right in thinking this was to the HR Olympic what the Tiger Cub was to the Royal Tiger? She’s seen in the museum in Leyland on 19 August 2012 and the second view is a close-up of the maker’s interesting badge. Everyone is rightly mourning the seemingly sudden end of Fishwicks. I never lived near it’s main operational area, but may have seen one or two when I lived in the Manchester area as a student in the late 1960’s. At the end of September this year, the wife and I took a short break from the south coast to Blackpool, using a Nat Express service, which went via Preston. So I did see several Fishwick’s buses then. I never though that within a month, that fine livery, and the services provided, would be no more. It’s the age of some of these companies which is so sad, they’re not recent operators to the scene. At least, there is a book about them; David Prescott’s "John Fishwick & Sons 1907-2007: A Century of Transport". Yes, the end seems to have come very quickly. Other former operators have seen the end on the horizon and have managed to terminate contracts, and tell the public and the Traffic Commissioners in good time. I suppose we’ll find out eventually what went wrong. I’m totally baffled Pete by the badge on this vehicle, in particular the name "Olympian." I’ve had a brief scan of the splendid book "The Leyland Bus" and find no reference to such a model. There is plenty of description about the substantial body subframe of the Olympic, but no mention of a "proper chassis" vehicle. The Tiger Cub and the Royal Tiger both had separate chassis, but differing in substantiality and specification, so please come anyone tell anything they know about the mysterious 1950s "Olympian." I’m still somewhat bemused by the Wiki link stating that it was an INTEGRAL single-deck bus built by Weymann’s for the MCW group, using Leyland Tiger Cub CHASSIS. The words in capitals show the contradiction. I wonder if they were long-lived vehicles? I have to say that the badge is very impressive. Thank you indeed Nigel for helping me out there, and I’m blushing at being unaware of such a model, or hopefully I did know all those years ago when it was "in the news." Mind you, the first line of the excellent Wikipaedia information throws another red herring into the mix, although correct data occurring thereafter in the piece – it says that the Olympian was an INTEGRAL model incorporating a Tiger Cub CHASSIS !! Obviously they meant Tiger Cub chassis COMPONENTS as correctly detailed from then in the item. Both models were fascinating players in the 1950s belief that "lighter will be economically better" – a theory which proved to be far from totally correct in subsequent decades – a fascinating process to study in depth. According to Glyn Kraemer-Johnson’s authoritative book Britain’s Olympic Hope, the Olympian was unveiled at the 1954 Commercial Motor Show, two years after the last Olympic HR44 had been built. The new model was a lightweight version of the Olympic, using the 0.350 5.76-litre engine as fitted to the Tiger Cub. Two examples of the Olympian were on show at Earls Court – demonstrator TPH 996 that was later sold to Jones of Aberbeeg, and JUH 469 of Western Welsh. Indeed, Western Welsh was the largest customer for the Olympian, taking 40 in 1956 with the same body as Fishwick’s example above. Fishwick bought six of them, 521-526 CTF. One other was exported to Ceylon and a further four went to Trinidad. The immediate recognition difference of the Olympian was the lack of the deep aluminium rubbing strip around the entire body at floor level, which was a familiar feature of the Olympic (and many Tiger Cubs). Thank you all for your comments, folks. 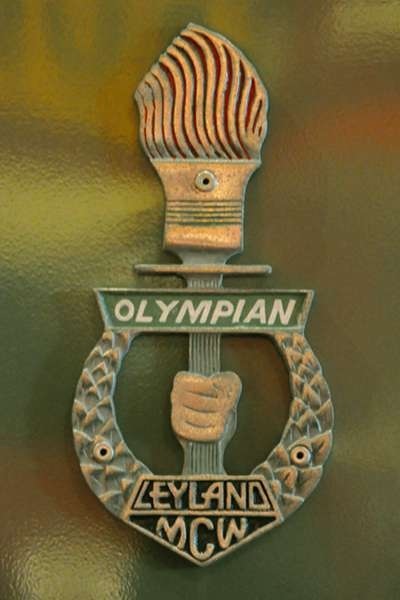 It doesn’t help in resolving the confusion by asking ‘that well-known search engine’ for information on the Leyland Olympian, because that throws out only details of the double decker built after 1980 . . . One has to ask for the Leyland-MCW Olympian! And, yes, integral and chassis are opposite ends of the conventional spectrum. One problem with that encyclopaedia is that it is open to anyone to edit, unlike the traditional book version, which had a team of editors. I believe it’s called ‘progress’. Ah, Wikipedia. The concept is admirable, but accuracy often lags well behind. For the past two years I have been ferreting out as much information from as many sources as possible for an article on Tilling-Stevens. The Wikipedia entry on this manufacturer contains several errors that may be found, repeated word for word, elsewhere on the internet, though, like the conundrum of the chicken and the egg, it is impossible to know who copied from whom. Wikipedia should always be taken with substantial helpings of salt. Pete- there was no traditional book version of Wikipedia: you may be thinking of Encyclopedia Britannica which is in theory out of date the day after it is printed, and needed the easiest of easy terms to buy. There is a 2010 Edition, new, on Amazon I see for £1500. Wikipedia adds greatly to widening knowledge – I find it useful (especially whilst watching TV quizzes, documentaries etc) and no more slanted than anything else. If you put Leyland Olympian single deck into Google you get this bus- what do you think? Joe, I must admit I’ve not tried the particular enquiry you mention. Must try it! When I wrote the Leyland-MCW Olympian article I said, Leyland Tiger Cub _units_. If it has been edited to _chassis_ I shall attempt to correct it. Mr Kraemer-Johnson’s book is good but by no mean’s free from errors, one of which is he says HR with the Olympic stands for Home Range, which would be absurd when only one model was initially offered, and would mean presumably that EL stood for Export Lange? The original error comes from David Kaye’s Blandford Pocket guide of 1968. So errors propagate as often in old media as in new. The difference is I can’t correct the book, nor can Mr Kraemer-Johnson unless it has sold enough for a second edition, which would be highly unusual for a bus book. I’m no expert on bus construction, but "integral-ness" seems to be a matter of degree. It isn’t just a matter of the running units being attached to a strengthened body structure: there is often something resembling a chassis frame, and it’s often referred to as exactly that. I remember visiting Fishwicks once when they were working on the Olympian. They said "You can tell it isn’t a Tiger Cub, because the floor sits straight on top of the chassis." Another example was Sentinel’s so-called integrals, where bodyless structures could often be seen driving round the roads of Shropshire while they were in build. At least YOU can change Wikipedia and you can see who changed it! Stephen has changed it back from ‘chassis’ (itself changed by "Mo7838" on 20/11/14) to ‘units’ today! Export Olympics could be either EL or ER, denoting (yes, you’ve guessed it) Left or Right hand drive. I do not think it wise to start a discussion on the definition of "integral", as one interpretation could include every double decker from the Atlantean and Fleetline onwards! This should go nicely with the Fishwick Olympic already posted. The Olympian was to the Tiger Cub what the Olympic was to to the Royal Tiger – in other words it was a lightweight integral with Tiger Cub running units and an MCW Hermes body built by Weymann. 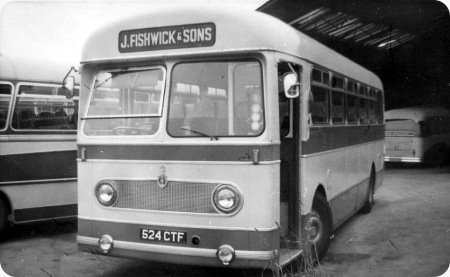 According to Bus Lists on the Web, only 60 of these were built: most were supplied to Western Welsh, while Fishwicks had six and a few went abroad. 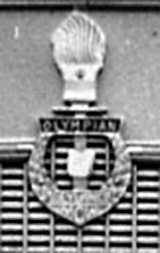 This one was finished to dual-purpose standard, and by the time it was photographed at Newtown on a PSV Circle tour of Shropshire and mid-Wales in June 1968, it had been refurbished (by Burlingham or their successor Duple Northern) to include a flashy mock grille proudly incorporating the Olympian badge. It was painted in Fishwicks coach livery of the day, which I think was something like lilac and grey – I’m sure someone will be able to confirm or correct that. Sister vehicle 521 CTF is preserved – see details in the discussion under the Olympic posting at this link. The coach colours were described as Guildford Blue and Arundel Grey. 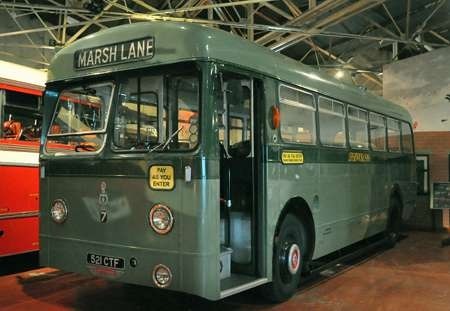 It was in this livery from 1964 to 1969, when it reverted to standard bus colours.